Note: I pulled the grilled pork chop with a fork and then tossed it in about a tablespoon of the maple glaze. After pre-baking the dough, I spread on a very thin layer of the maple glaze, then added the rest of the toppings. My maple glazed pork pizza was subtly sweet and was perfect way to end a cool autumn day. 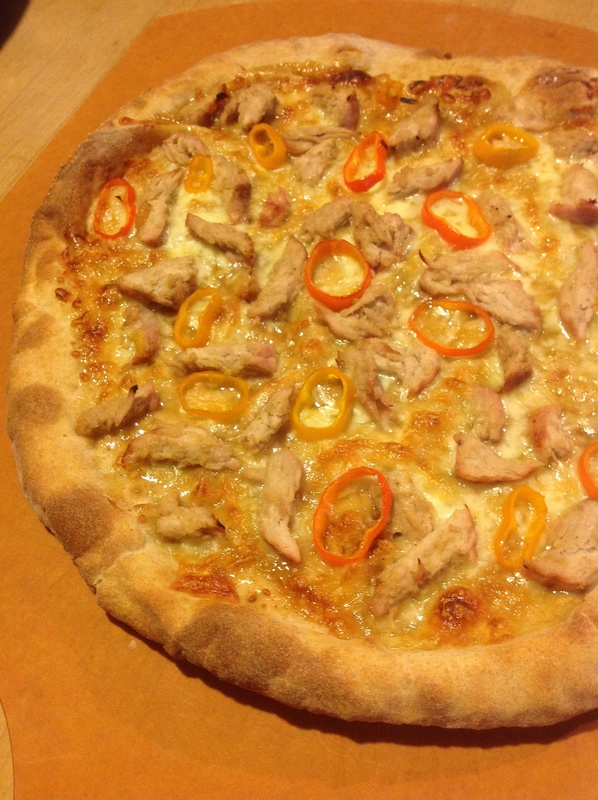 This entry was posted in Autumn Recipe, cheese, maple glaze, meat, mozzarella, peppers, pizza, pork, sauce, Seasonal, veggie and tagged maple, mozzarella, pizza, pork chops. Bookmark the permalink.